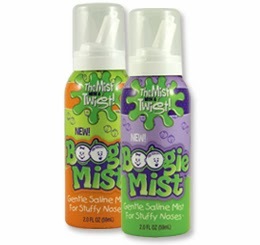 Boogie Wipes are the first ever saline nose wipe as a solution for sore, red, runny noses. 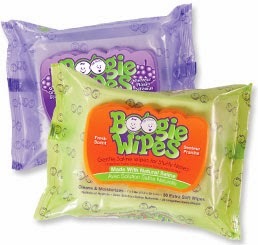 As Boogie Wipes Ambassadors we enjoy sharing these great products with Mom's, Doctors, Schools and Day Cares. They are soft for sore noses! and work great. Love them! 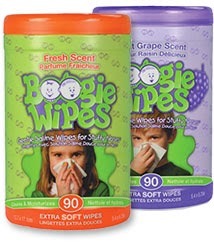 I love how well boogie wipes break up dried on boogies and don't dry out and chap my LO's nose. They are convenient, easy to use, and portable. They are softer than tissues and I love the scent choices. Thanks so much for hosting this giveaway! i love how gentle they are on my sons nose! They help my son's and my nose not to hurt!! I use them all the time on my self for my allergies and love them!! I love how perfect they are when my little girl has a cold. She's too little to know how to blow her nose and these help loosen dry boogies and are gentle on her sweet face. my daughter loves the grape smell, I love the sensitivity. That they dont irritate their sensitive skin from the constant wiping! Everything! it is gentle for babies skin, no chemicals that are harsh, no extreme fragrance! Soft and easy on sensitive skin. They are easy on my sons cute little nose! They get the caked on boogies off. Plus they have an awesome smell! I love the grape. The link to the boogie bunch won't work for me. I love there soft and great for runny noses and the smell!!! I love that there is grape smell that my daughter loves, so it makes it easier to wipe her nose when it's painful. I like that it softens the dry stuff around the nose so it doesn't hurt as bad.